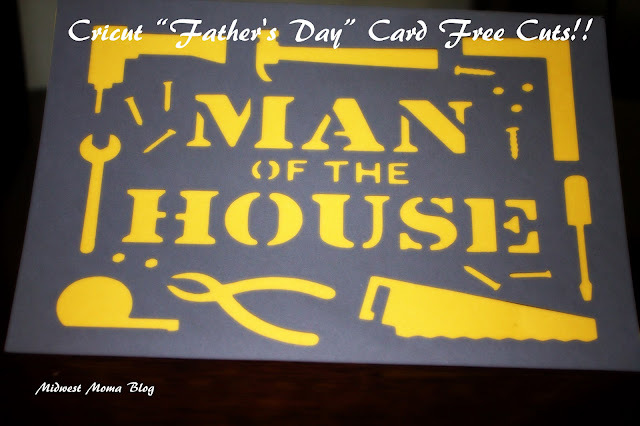 Midwest Moma Blog: "Man of the House" Cricut Father's Day Card! Cut it Free! My favorite feature on Cricut's Craftroom! They have been good to the Cricut owners and are offering a select few of their Father's Day Cards for free! There are a few cute ones that are also free....but if you want something else, there are even more in the Cricut Single Images Library for $1.99 each! There are a couple I have my eye on...might have a Father in this house that gets more cards for one day then he does for the whole year! !